Cyber Gadget’s Retro Freak console is pretty darn awesome. I mean, the thing plays almost every cartridge- and card-based retro game you can throw at it, from Master System games all the way to TurboGrafx-16 games. But if you’re still not convinced, you should read our review. Oh, and did you know it’ll soon be able to play Game Gear, SG-1000 and SEGA My Card games thanks to an upcoming adapter? But before it’ll be able to run them, you’ll need to update the system’s firmware, which is currently at version 2.0. 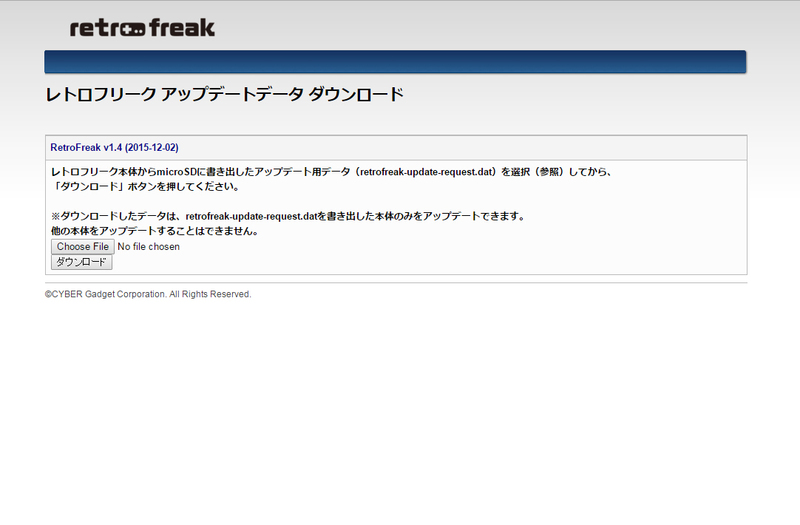 Unfortunately, Cyber Gadget’s website is entirely in Japanese, and Google Translate can only help so much. So, like always, your friendly SEGA Nerds have your back with simple instructions on how to keep your Retro Freak in tip-top, most-up-to-date condition! First, insert a microSD card into slot in the back of the console. 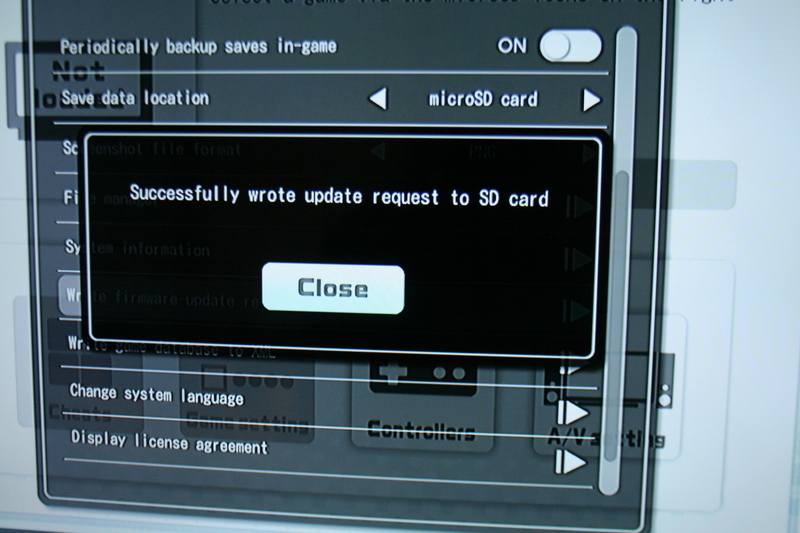 Click the first box (Choose file) and locate the “retrofreak-update-request.dat” file (It should be located in your microSD card’s root directory), and click OK.
Next, click the second box (Download), which will download a “retrofreak-update.bin” file, into the same directory as the “retrofreak-update-request.dat” file. Now, insert the microSD card back into the Retro Freak, and it should automatically detect the .bin file and begin the firmware update process. You’re finished! Now go play some retro games, ya goof!